November 14, 2010 (KATAKAMI / RIA NOVOSTI) — Russia will host the Asia-Pacific Economic Cooperation (APEC) summit on September 8-9, 2012, a source in the APEC secretariat said on Sunday. 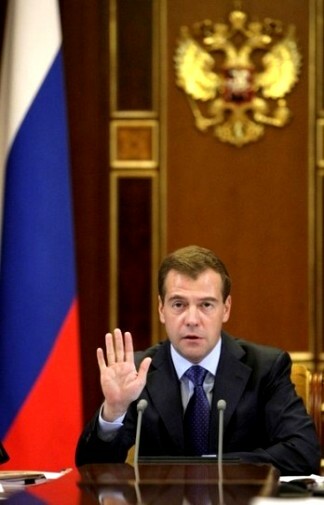 “Russian President Dmitry Medvedev said at a working meeting of the APEC forum today that Russia will host the summit on the Russian Island on September 8-9, 2012,” the official said. 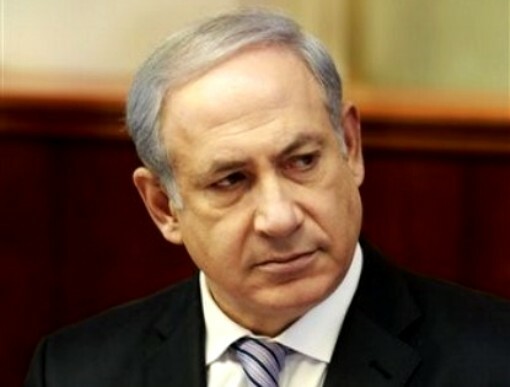 November 14, 2010 (KATAKAMI / YNET) — Netanyahu convenes top government ministers for late-night session on American proposal, asks them to approve construction moratorium in West Bank in exchange for US veto on anti-Israel initiatives in UN. The forum of top seven government ministers convened Saturday night at the Prime Minister’s Office in Jerusalem to discuss the latest American proposal for renewing direct talks between Israel and the Palestinians. Earlier Saturday, a close associate of PM Netanyahu hinted at the proposal, declaring that he wouldn’t “bet on a full freeze” extension to be implemented. According to the proposal, the US would also boost its resistance to the de-legitimization campaign against Israel and to attempts by Arab states to deprive Israel’s right to self-defense. November 13, 2010 (KATAKAMI / HAARETZ) — Ahead of trip to U.S. next week, William Hague calls on Mahmoud Abbas to return to stalled Israeli-Palestinian peace talks as soon as possible. 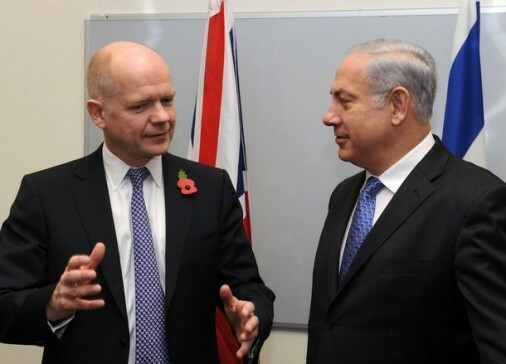 British Foreign Secretary William Hague has urged Palestinians to rejoin Middle East peace talks, before discussions in the U.S. next week. Hague said he told Palestinian President Mahmoud Abbas in a phone call on Saturday that he was disappointed by Israeli plans to build new Jewish homes in East Jerusalem. 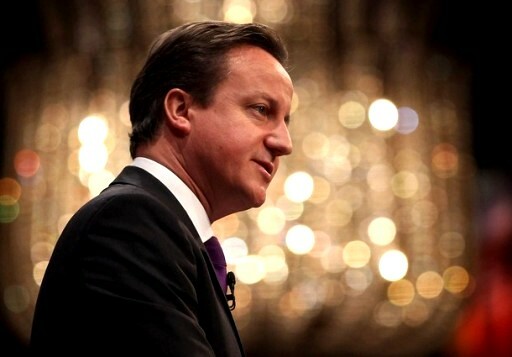 But he urged Abbas to return to the stalled talks as soon as possible. He said he would discuss the situation with U.S. Secretary of State Hilary Clinton during a visit to Washington next week. U.S.-sponsored direct Israeli-Palestinian peace talks broke down on September 26 when a 10-month Israeli freeze on West Bank settlement construction expired. Abbas has said he would not conduct peace talks with Israel while settlement construction is taking place. November 13, 2010 (KATAKAMI / NUMBER 10.GOV.UK) — The Nobel Peace Prize winner has been detained for 15 of the past 21 years. “This is long overdue. Aung San Suu Kyi is an inspiration for all of us who believe in freedom of speech, democracy and human rights. 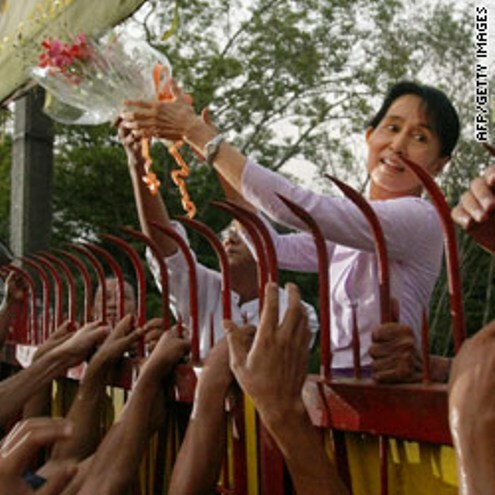 Her detention was a travesty, designed only to silence the voice of the Burmese people. 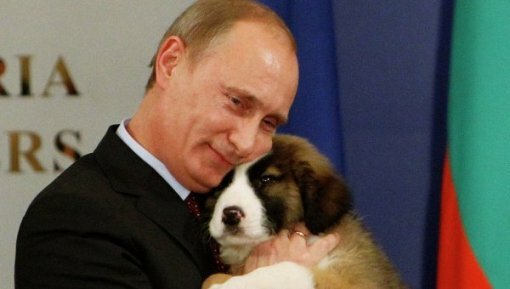 November 13, 2010 (KATAKAMI / RIA NOVOSTI) — A fluffy puppy was added to Russian Prime Minister Vladimir Putin’s menagerie after talks with Bulgarian Premier Boyko Borisov on Saturday in Sofia. Borisov gave Russia’s “man of action” a Bulgarian Karakachan puppy after sealing a gas deal. Putin accepted the new family member, hugging it close to his chest and kissing it on its nose. A Siberian tiger cub was given to Putin for his 56th birthday two years ago. The young tigress, named Mashenka, lives in a zoo. His most famous pet, however, still remains his Labrador Connie, given to him when he was president by Russian Emergencies Minister Sergei Shoigu on New Year’s Eve in 2001. Some people say this is the reason why Shoigu is still in his job. He is also the owner of a cat (who is reported to be living within the Kremlin walls), two poodles, one she-goat and her offspring given by former Moscow Mayor Yury Luzhkov (some people say it’s the reason why he lost his job). The Russian premier, though, seems to like horses most of all: shots of a horse-riding Rambo-like Putin emerge in media outlets every now and again. Last but not least, the former KGB agent is also in possession of two rare creatures: a Persian gazelle given to him by Kazakh President Nursultan Nazarbayev in 2002 and named Vlada after Putin; and a crystal crocodile given by former Moldovan President Vladimir Voronin in the same year. “The crocodile is the only animal that doesn’t back off,” Voronin famously said. Israel's Prime Minister Benjamin Netanyahu speaks during a Likud party meeting at parliament in Jerusalem October 25, 2010. November 13, 2010 (KATAKAMI / Reuters) – Prime Minister Benjamin Netanyahu showed senior ministers a U.S. plan for resuming peace talks with Palestinians, including a 90-day settlement freeze, a diplomatic source told reporters Saturday. The plan also includes a pledge not to seek any extension to the settlement freeze after the 90-day period, a vow to veto any attempts at the United Nations to force a unilateral peace deal and an agreement on supplying Israel with more war planes. Israeli-Palestinian peace talks, renewed under Washington’s sponsorship on September 2, broke down a few weeks later when Israel balked at renewing a settlement moratorium. Netanyahu met his top “Forum of Seven” ministers a day after returning from a week-long U.S. tour that included talks on Thursday with Secretary of State Hillary Clinton at which she unveiled the plan he showed his cabinet, the source said. 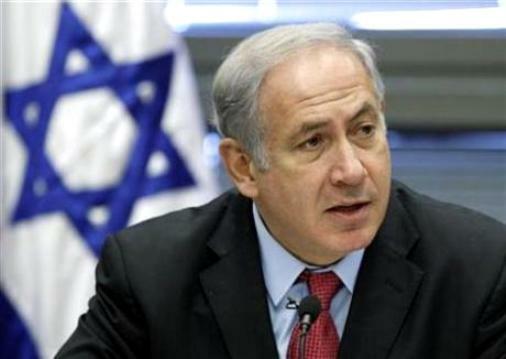 Netanyahu hopes he may win approval for the plan from his pro-settler cabinet later this week, political sources said. Among the pledges offered to Israel by Washington, was a guarantee to veto any resolutions brought to the United Nations Security Council that seek “to impose a political settlement on Israel,” the source said, speaking on condition of anonymity. Palestinian President Mahmoud Abbas had no immediate comment. Officials speaking on condition of anonymity said the Palestinian leader was likely to wait to see whether Israel approved the ideas before issuing any comment. Under the plan Israel would “declare an additional suspension of construction” in the West Bank, land it captured from Jordan in a 1967 war, for 90 days. Building begun since a moratorium ended in September, would be halted, the source said. The proposed construction freeze would not include East Jerusalem, an area Israel has annexed as part of its capital in a move never recognized internationally and which Palestinians want as capital of any future state. Washington would also undertake to veto resolutions deemed anti-Israel in the U.N. Security Council and other international organizations, the source said, a pledge that could make Israel less vulnerable to threats made by some Palestinians to declare statehood unilaterally in the event that peace talks fail. The Obama Administration would also ask Congress to approve the supply of $3 billion worth of warplanes to Israel “to maintain its qualitative edge” in the region, the source said. The United States would further sign a more comprehensive deal to enhance its substantial security aid to Israel as part of any agreement concluded with the Palestinians. Israeli officials said Netanyahu, who faces a tough political sell within his own coalition on the settlement issue, had pushed Clinton for the broad understandings.